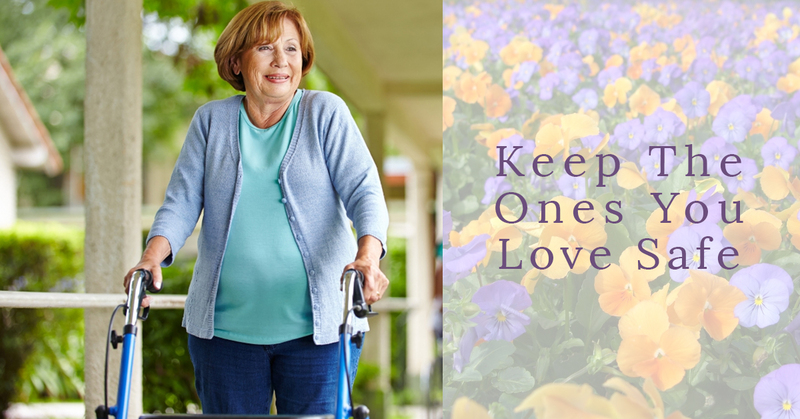 In a previous blog post, we discussed the issue of slip and fall hazards in the home, and how these issues, which seem insignificant to the rest of us, can put the lives of our senior loved ones at risk. The slip and fall hazards addressed in our previous post included throw rugs, poor lighting, and even pets. Read the full post here. In today’s blog, we’d like to continue this discussion about hazards in the home, and remind you all about why it’s so important to create a home care plan that helps seniors to stay safe. Here at Best In-Home Care of Lubbock, we often talk about how essential it is to do everything we can to help seniors maintain their independence. So often, when age starts to take its toll on senior bodies, we assume that it’s time to register our loved ones in a nursing home, but this isn’t always what’s best for the emotional health of those we care about. Many studies have shown that seniors who are empowered to stay in their own homes, even after physical deterioration or medical procedures. Some seniors actually enjoy a higher quality of life and experience faster recovery times, when they’re allowed to return to their homes rather than staying in the hospital. If you’re struggling with the decision about how to care for a senior loved one, or are yourself a senior who is looking for an enhanced level of health care that will still allow you to maintain your independence, contact Best In-Home Care of Lubbock to schedule a FREE in-home assessment today. Power Cords – Many seniors live in older houses, which means it’s been awhile since electrical systems were updated. This leads many seniors to utilize extension cords to be able to plug in all of their devices, appliances, and even medical equipment. The only problem is that stringing cords across rooms, hallways, or stairways is a huge slip and fall hazard. Cords should always be kept close to the way. Our in home care experts can help seniors to rearrange cords and furniture so these power cords are out of the way, not to mention helping seniors with mobility issues navigate their homes safely. Low Toilet Seats – As we get older, our leg muscles start to atrophy, losing both muscle mass and strength. Although most of us don’t realize it in our younger years, it takes a strong set of left muscles to lower ourselves down to a sitting position on the toilet, not to mention back up again. Without proper installation of handrails, seniors can experience fall accidents in the bathroom. Our home health care experts can help to prevent this by recommending retrofits and assisting with bathroom time. Sloping Driveways – Many seniors enjoy reading the daily paper, but this pleasurable pastime often puts them at risk for slip and fall accidents. How, you may ask? Because driveways, especially the sloping kind, can become dangerous when mobility is limited. You can’t change the entire driveway, so why not allow an in home care expert to bring in the paper, or assist your senior loved one on their daily walk to fetch it? Best In-Home Care Helps Lubbock Seniors Stay Safe! Contact us to learn more about our home health care services today.